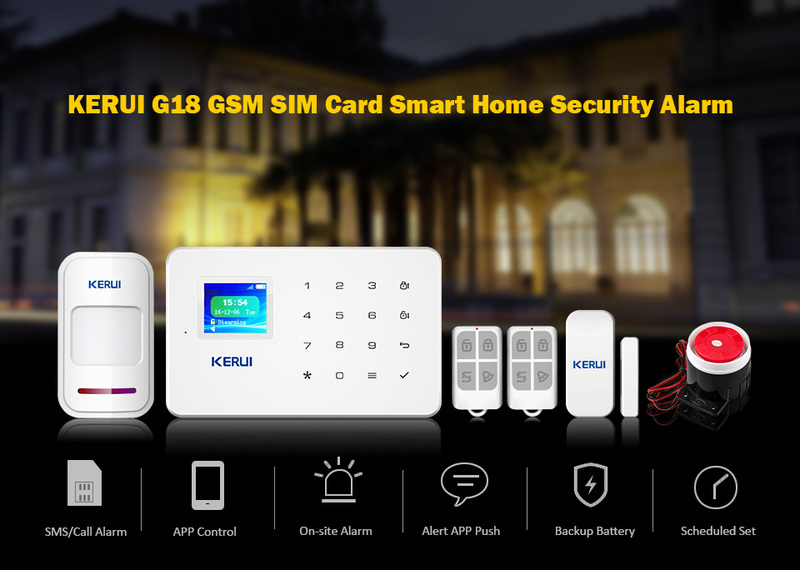 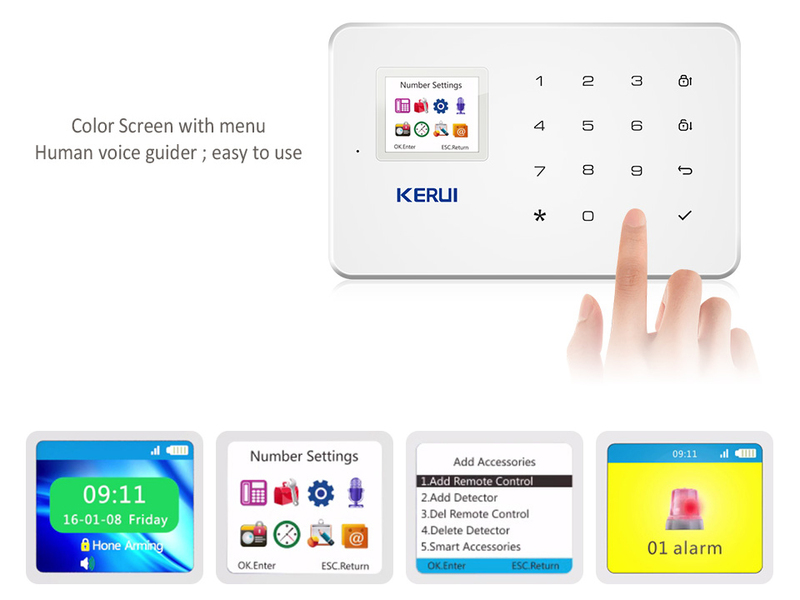 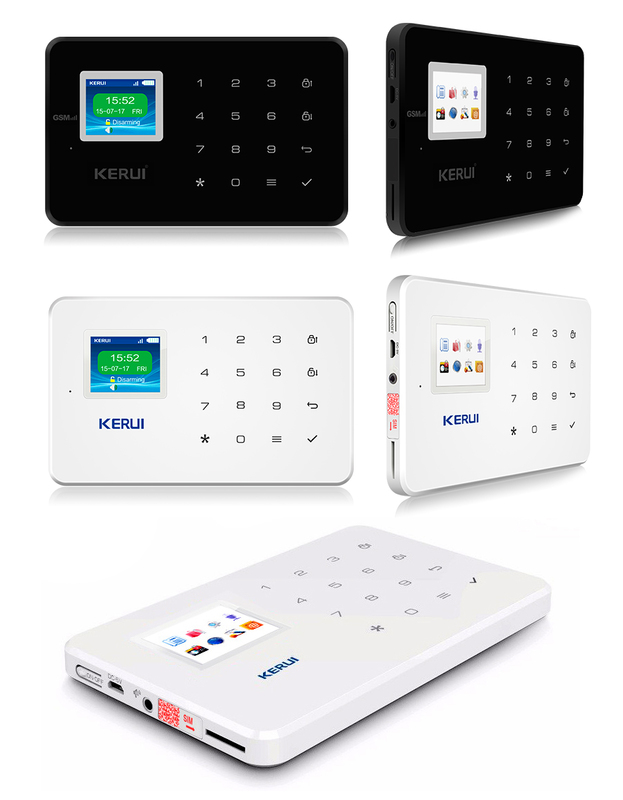 KERUI Home Security System Protect your property from the inside-out, and get mobile alerts when doors or windows open and when motion is detected at home. 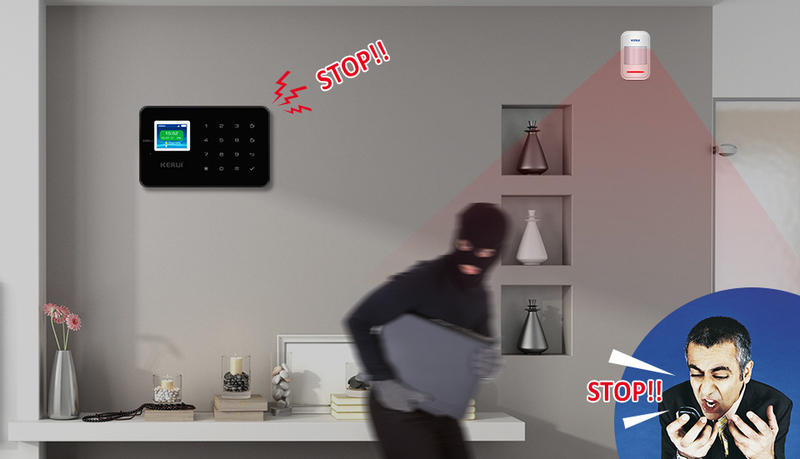 Set up your entire system without the need for tools or professional installation, and expand your Alarm to fit any home or apartment. 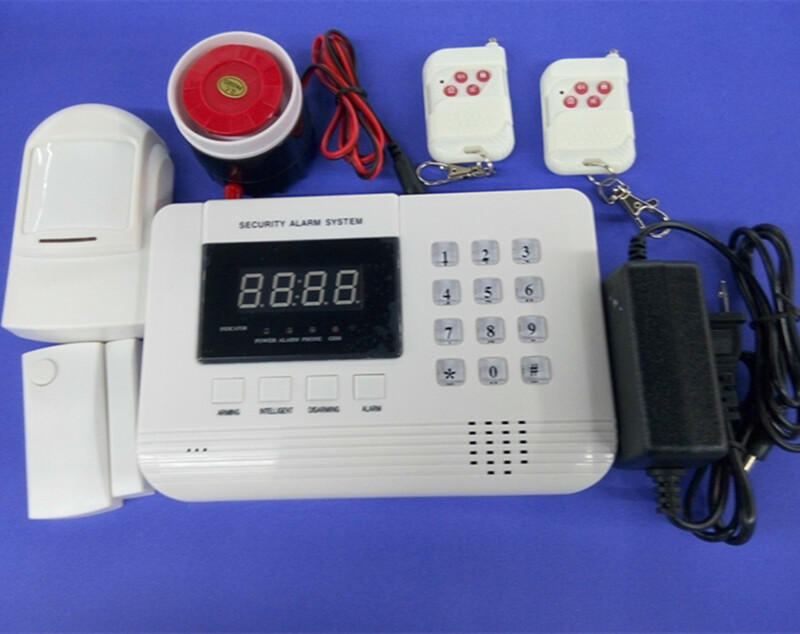 If thieves invade, G18 alarm system will alarm alerts neighbors and deters potential intruders,the host will sound and send SMS/call to you preset phone number. 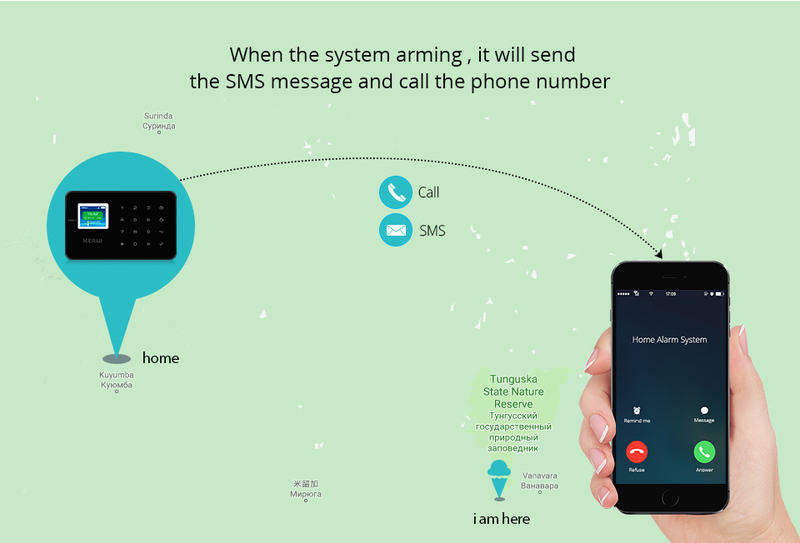 You will receive the notification at the first time. 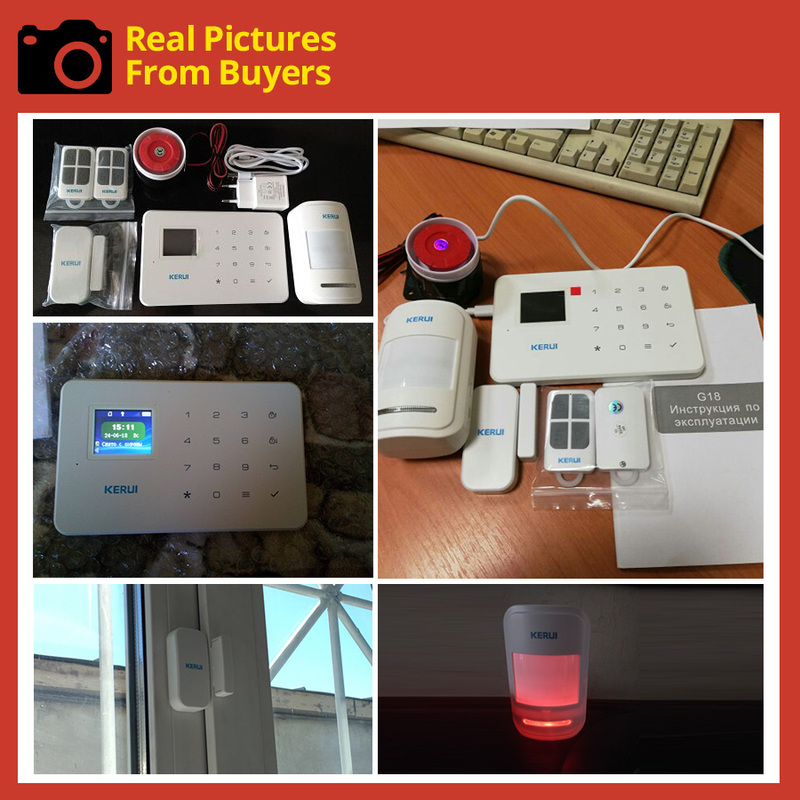 We also provide EU/UKAU/US Plug ,We will send power adapter according to your country!